Sioux Bonderove is a tutor who works with many North Shore homelearners. 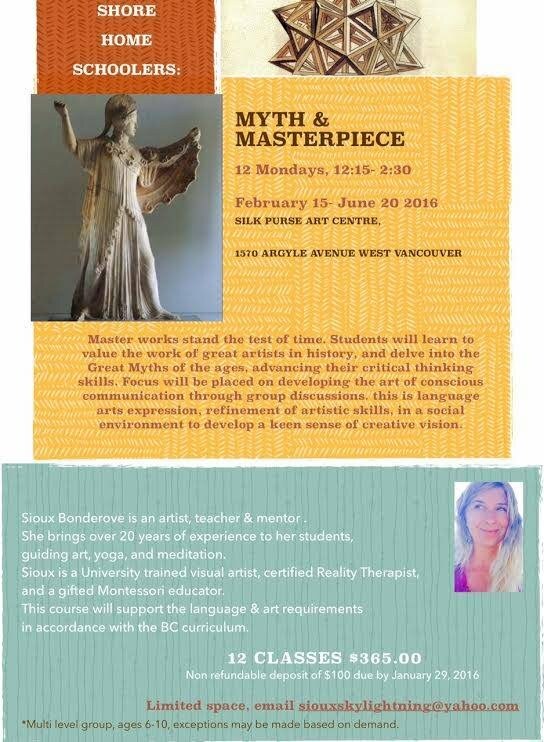 She's starting a Myth and Masterpiece literacy program for children ages 6-10 on Monday, February 15th. The cost is $365 for 12 sessions, Feb 15th-June 20th (excludes holidays). There is a $30 sibling discount. The class takes place at the Silk Purse Gallery. Please contact her at siouxskylightning@yahoo.com for more information.